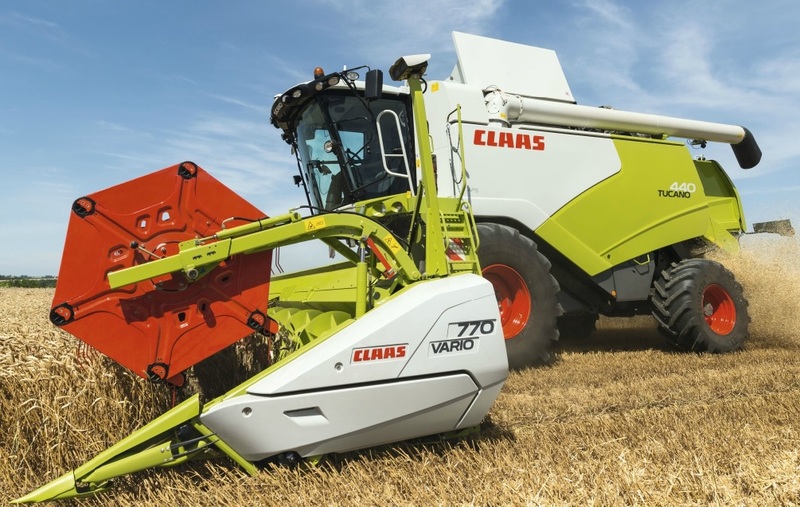 For the 2015 harvest, Claas is set to release a complete new combine range of Tucano models which it says while remaining true to the principle of providing arable growers with an alternative to the Lexion, does however draw upon that range for some of its new features in order to further boost output and productivity. Claas claim that the Tucano combine range has proved extremely popular with smaller to medium-sized arable farmers and contractors, who want a high capacity combine but without all the additional sophistication of the Lexion range. It says one of the reasons the Tucano has stood out in the medium sized sector is the use of the well proven APS threshing system, and more recently the APS Hybrid system, which helps ensure that high outputs can be maintained even in difficult threshing conditions. The ability to also use the Vario cutterbar on the Tucano has also proved extremely popular. Claas outline that from the outside, the most notable difference is the appearance of the new Tucano range, which more closely follows the Lexion, especially with the adoption of a ‘top-pivot’ type unloading auger. It says the main benefit of this is an increase in loading height and discharge speed, which is now about 30% higher and on the new Tucano 570 Hybrid means that its 9,000L tank can be emptied in less than two minutes. This also means that longer discharge augers can now be available, plus it makes access for servicing far easier.